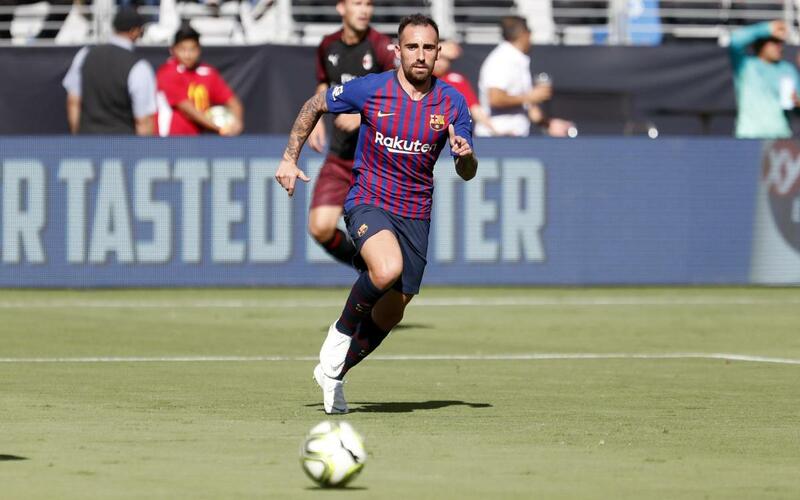 FC Barcelona and Borussia Dortmund have reached an agreement for the loan of the player Paco Alcácer for the 2018/19 season. The German club will pay FC Barcelona 2 million euros for the loan and will pay the player’s wages. Borussia Dortmund retains an option to buy the player for 23 million euros plus 5 million in variables and FC Barcelona has the right to match any future transfer offer of a third football club. Furthermore, FC Barcelona will retain 5% of any future profit from the sale of the player by Borussia Dortmund to a third party. Paco Alcácer came to FC Barcelona from Valencia in the 2016/17 season. Since his debut on 10 September 2016 against Alavés in the league, the striker played a total of 50 games for the blaugranes: 37 in LaLiga, seven in the Copa del Rey, five in the Champions League and one in the Spanish Super Cup. In those games he scored 15 goals in a Barça shirt, 10 in the league, four in the Copa del Rey and one in the Champions League. During his time as a Barça player he won the Copa del Rey twice, the league and the Spanish Super Cup.